I hope the fact that I flew backwards on British Airways last night isn’t an omen for how Bay of Freedom runs at Wexford tomorrow evening; I doubt it: there are only eight runners and the chances of being squashed, sardine like, is unlikely. It wasn’t unlikely though last night; it was a fact. I decided to use some points to pay for my trip and the best value was Business Class on BA from Boston to London and then onto Dublin. 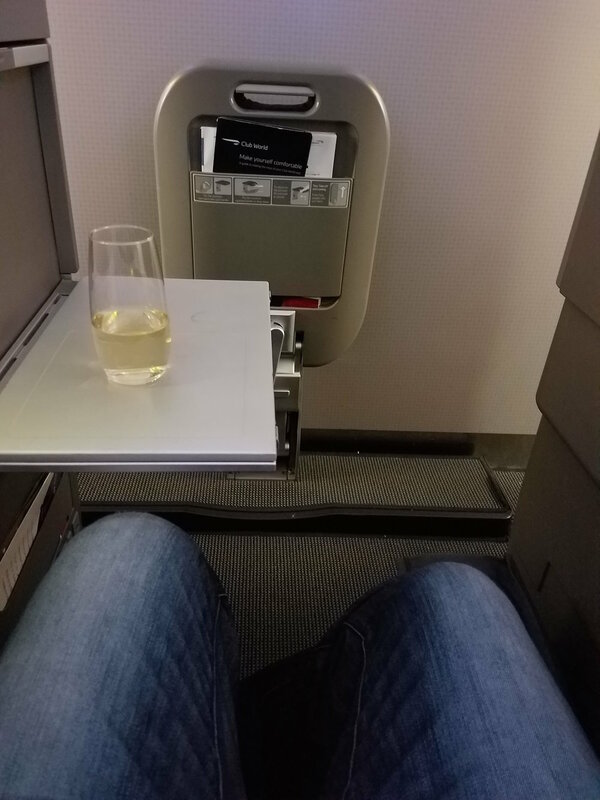 BA definitely has, if not the worst, then the strangest business class. I was upstairs where the configuration is 2-3-2 and, I decided, to take the middle of three in the very last row. The reason being: this was the only seat that allowed access to the aisle without stepping over someone or having someone step over you and the reason for that is that the seats alternate between front and backwards facing. One quick aside: the brace position is different if you are facing backwards: you have to lean back and cross your arms across your chest; a bit like hugging someone who quickly darted out of the way. Peter called me last Saturday at 7.23am – I know this because I was still in bed and, much more importantly, Kim was still in bed. Kim could sleep for America and, after a busy week at work, she was all set for a 10am lie-in (which would have been later had she not, foolishly, booked a massage). The phone goes off and I am desperately trying to simultaneously answer it in a soft voice, jump out of bed and dash downstairs; the loud groan next to me indicated that I had been unsuccessful on all fronts. Peter was calling to ask if I wanted to have the horse scoped. Just to bring you up-to-date: he was scoped in mid-March and most of his ulcers were gone. We then scoped him again after he had been in light training for a few weeks and there was further significant improvement. However, with the race coming up, Peter had stepped up his training and, while he is still at out at grass 24/7, it is entirely possible that the more intensive training could cause the ulcers to flare up. We decided that it made sense to take a look and Peter booked him in for 8.30 on Sunday morning; 3.30am Boston time so I made sure of telling Peter that I would call him to find out the results. We were pretty confident he would scope clear but it’s still a worry because, if he hadn’t, then we would have been faced with some tough decisions about his future. In my more pessimistic moments earlier this year, I did a bit of research regarding the Retraining of Racehorses and the other ‘careers’ they could have after racing. Nowadays, they do a great job and it’s good to know that the horse can have a great home and still do something it enjoys. So, I spent Saturday speculating and then, of course, got the news that he was clear and the ulcers were gone. It’s pretty remarkable given he has just been at grass and has not had any medication this time! So..there are no excuses on the ulcer front, the ground is good and that will suit him, the course is one of his favorites having won twice there before and the 3 mile distance is perfect. There are three potential front runners which should ensure a honest pace and that will allow us to slot in in 4th or 5th place, make our move between the last two hurdles and go on to win the race! OK..got a bit carried away there. It is a hurdles race and his hurdles form is well below his chase form; there are several horses who are rated more highly and Bay of Freedom hasn’t run since February. I think he should be about 4th favorite but the bookmakers have him at 7/2 2nd favorite although it’s pretty tight betting between the top six. Peter says he has never had him looking so well and he is heavier than he has ever been. We’re not sure if that’s a good thing or not but, one thing is for sure, Peter will be convinced it’s a bad thing by 7.20pm tomorrow night. Ian, my brother-in-law, is coming over from England to watch the horse for the first time and we are going to have a night in Dublin tonight before going to the stables and then onto Wexford tomorrow. He’s never been to Dublin so I would think a night in Temple Bar should just about make sure he never comes again. Win, lose or draw I will post an update on Thursday. Wish us luck!